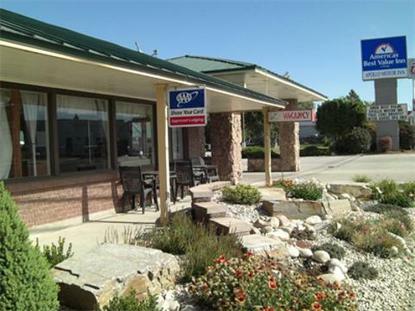 Welcome to our beautiful Americas Best Value Inn of Twin Falls, Idaho. We are centrally located on the corner of North Blake St. and West Addison Ave. Our comfortable heated Guest rooms are equipped with either a Sitting Area or a Writing Desk, High Speed Internet, Cable TV with HBO, Hairdryer, Iron, and Ironing Board. We offer a fresh Complimentary Continental Breakfast daily. For our Business travelers we have Fax and Copy service available, We also offer Safe Deposit Boxes at the Front Desk. You can relax in our fantastic outdoor Swimming Pool and Spa. Our friendly and experienced staff is always eager to make your stay with us a memorable experience. Come stay with us and enjoy the value of staying with Americas Best Value Inn.... .